Much of our experience of — and meaning-making in — the real world is qualitative rather than quantitative. How friendly was she? How tired do I feel right now? Who’s the tallest in the group? 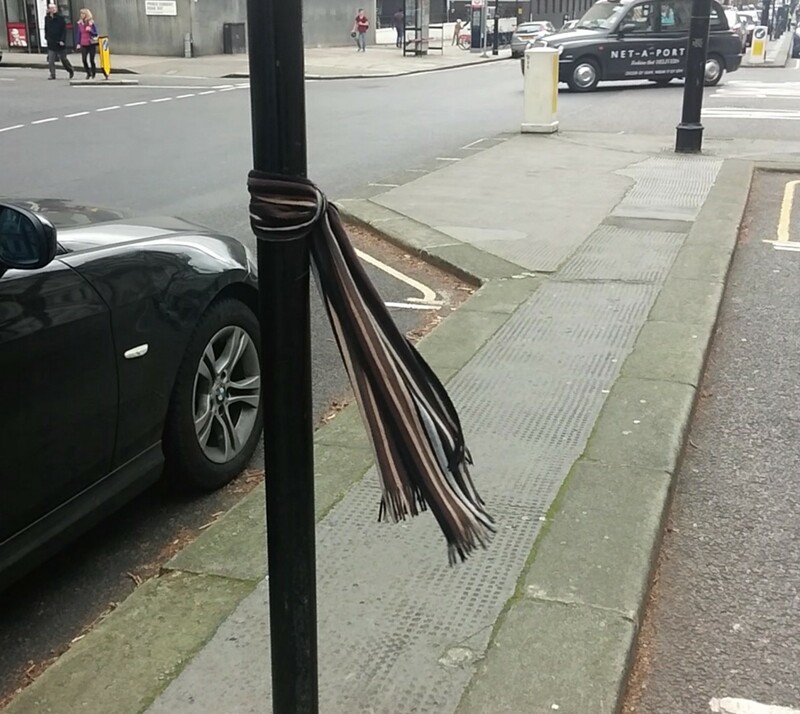 How windy is it out there? Which route shall we take to work? How was your meal? Which apple looks tastier? Which piece of music best suits the mood? Do I need to use the bathroom? Particularly rarely do we deal with quantities in relation to abstract concepts — two coffees, half a biscuit, three children, but rarely 0.5 loves or 6.8 sadnesses. 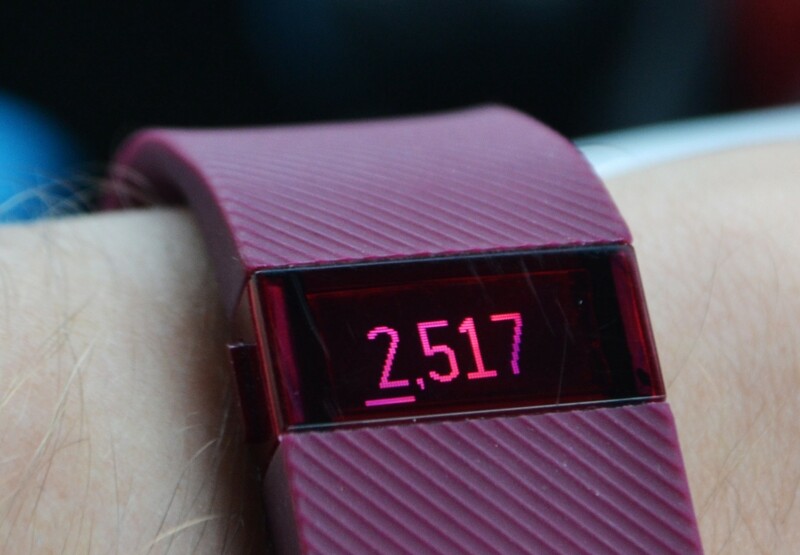 Figure 1: A typical form of quantitative interface: a Fitbit’s display of number of steps taken. Figure 2: The Emulsion activity tracker, by Norwegian design studio Skrekkøgle, contains two immiscible liquids. Movement splits the colored liquid into smaller drops, making patterns. Figure 3: Leaves blowing around can be thought of as a form of qualitative display for the wind. Here we define a qualitative display as being a way in which information is presented primarily through representing qualities of phenomena; a qualitative interface enables people to interact with a system through responding to or creating these qualities. ‘Displays’ are not necessarily solely visual — obvious to say, perhaps, but not always made explicit. Before exploring some examples, we will look at some theoretical issues. The terms ‘qualitative interface’ or ‘qualitative display’ are not commonly used outside of some introductory human factors textbooks, but forms of interface along these lines are found in lots of projects at CHI, TEI, DIS, Ubicomp (all academic human-computer interaction conferences) and other venues, without authors explicitly drawing our attention to the concept — it is perhaps just too obvious and too broad to merit specific comment in HCI and interaction design research. But, assuming the idea does have value, what are some characteristics? One advantage of interfaces seeking to provide a qualitative display is that they have the potential to enable the preservation of at least some of the complexity of real phenomena — representing complexity without attenuating variety  — even if we do not pay attention to it until we actually need to, in much the same way as certain phenomena in the real world become salient only when we need to deal with them. Looking out of the window or opening the door to see and feel and hear what the weather is like outside presents us with complex phenomena, but we are able to interpret what actions we need to take, in a more experientially salient way than looking at some numbers on a weather app. The feel of the wind on our skin, or watching the wind affect the environment, gives us a better sense of whether we need a scarf or coat than knowing the quantitative value of the wind speed and direction (Figures 3, 4 and 5). 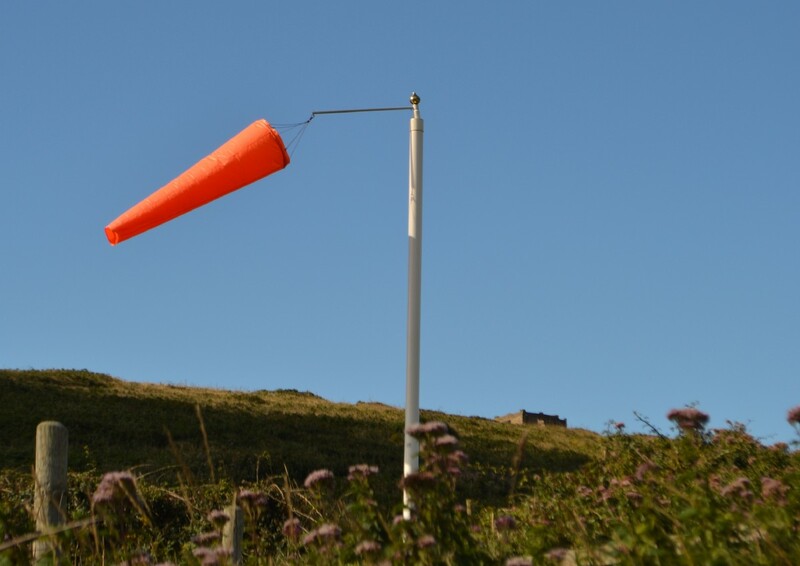 We can see, hear and feel not just wind speed and direction, but other qualities of it — is it continuous? in short gusts? damp, dry? 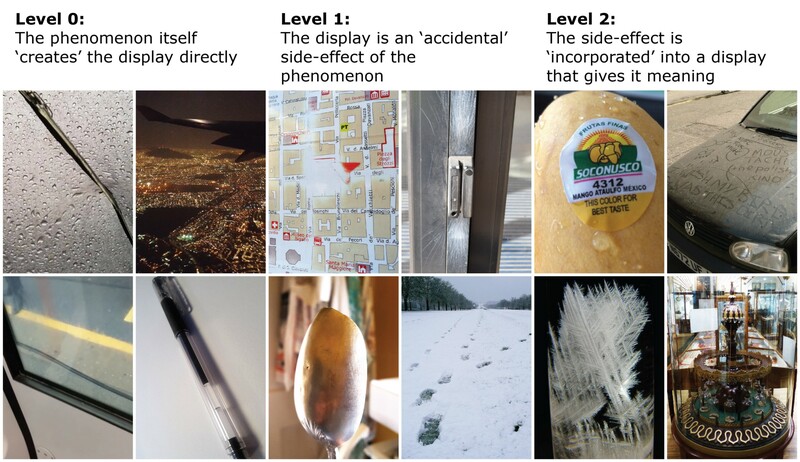 Figure 6: Some examples of displays from Levels 0, 1 and 2. Level 0: The pattern of raindrops hitting a translucent umbrella — frequency, coverage, and sound — directly creates a ‘rain display’ for the user, providing insight into the current state and enabling decisions about whether the umbrella is still needed; City lights create a display showing the shape of the city’s districts and indicator of population density; Water trapped in a train carriage window moves as the train ac-/de-celerates, creating a dynamic display of the train’s motion; A transparent pen is a physical progress bar for the amount of ink remaining — it could be quantified, but it is perhaps the quality of being not-yet-run-out which matters to the user. Level 1: A worn patch on a map accidentally provides a display of ‘you are here’; Use marks  from previous users demonstrate how to use a swipe-card for entry to a building; A spoon worn through decades of use is an accidental display of the way in which it has been used ; Footprints in the snow ‘accidentally’ provide a display of previous walkers’ paths. Level 2: ‘This Color For Best Taste’ label gives ‘meaning’ to the colour of a mango’s skin for the consumer (Photo used with permission of Reddit user /u/cwm2355); Writing ‘Clean Me’ or other messages in dust on a car gives meaning to the dusty property; Admiral Robert Fitzroy’s Storm Glass, as used on the voyage of the Beagle (1831–6), incorporates crystals whose changing appearance was believed to enable weather forecasting (Photo: ReneBNRW, Wikimedia Commons, public domain dedication); George Merryweather’s Tempest Prognosticator (1851) incorporates “a jury of philosophical councillors”, 12 leeches whose movement on detecting an approaching storm causes a bell to ring (Photo: Badobadop, Wikimedia Commons, CC-BY-SA). 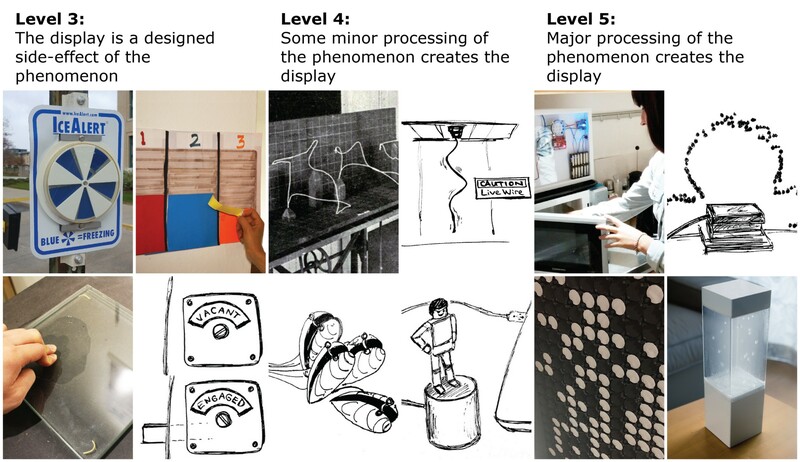 Figure 7: Some examples of displays from Levels 3, 4 and 5. Level 3: IceAlert is designed so that freezing temperatures cause the blue reflectors to rotate to become visible; A ‘participatory bar chart’ by Dan Lockton along the lines of [22, 33, 16], designed so that ‘voting’ increases the visible height of the bar, though the votes are not numbered; A non-numerical weighing scale by Chang Hee Lee designed so liquid trapped under glass changes shape; Toilet stall door lock designed so display rotates from ‘Vacant’ to ‘Engaged’ — the position of the lock itself gives us a display of actionable information. Level 4: Chronocyclegraphs (1917) by Frank and Lillian Gilbreth, tracing manual workers’ movements  (Photo from , Archive.org, out of copyright]; Live Wire (Dangling String) by Natalie Jeremijenko (1995) moved a wire in proportion to local network traffic; Melbourne Mussel Choir, also by Natalie Jeremijenko with Carbon Arts  uses mussels with Hall effect sensors to translate the opening and closing of their shells into music; Availabot (2006), by Schulze & Webb, later BERG , is a USB puppet which “stands to attention when your chat buddy comes online”. Level 5: Powerchord by Dan Lockton  provides real-time sonification of electricity use, translating it into birdsong or other ambient sound; Immaterials: Ghost in the Field by Timo Arnall  visualizes “the three-dimensional physical space in which an RFID tag and a reader can interact with each other”; Ritual Machine 2 by the Family Rituals 2.0 project  uses patterns on a flip-dot display to visualize the countdown to a shared event for two people; Tempescope by Ken Kawamoto  visualizes weather conditions elsewhere in the world through re-creating them in a tabletop display (Photo used from Tempescope Press Kit). The work of Yvonne Jansen, Pierre Dragicevic and others  in data physicalisation, including compilation of examples, and embedded data representation , provides us with many instances of qualitative display, mostly at what we are calling Levels 2–5; likewise, development of ubiquitous computing, tangible interaction and tangible user interfaces [39, 18, 17] and Hiroshi Ishii’s subsequent vision of tangible bits  offers a huge set of projects, many of which provide qualitative interfaces for data or system interaction (usually at Levels 4–5). Sonification  and glanceable displays [e.g. 9, 34] also offer us diverse sets of examples often using non-numerical representation, also largely at levels 4–5. As noted earlier, qualitative does not just mean non-quantitative, and the boundaries may be blurred: if a sonification directly maps numerical values to tones, is it much different to an unlabelled line chart? Or are sparklines , for example, a way of turning quantitative data into a form of qualitative presentation? Analogy and metaphor are important here, and the almost-forgotten field of Analogue Computing offers us an intriguing perspective. 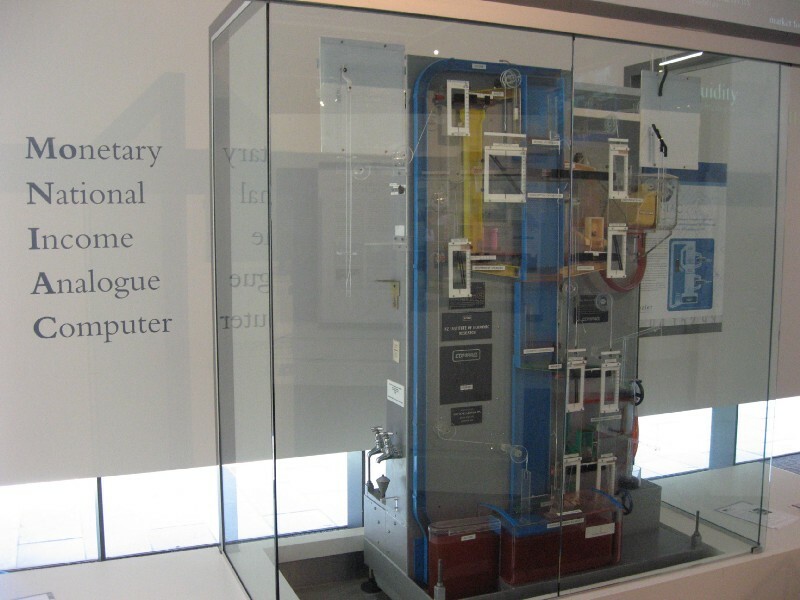 By “build[ing] models that created a mapping between two physical phenomena” , some analogue computers effectively operated as ‘direct’ displays of an analogue of the ‘original’ phenomenon — a kind of meta-level 2 type qualitative display, with devices such as the 1949 Phillips Machine  (Figure 9), which performed operations on flows of coloured water to model the economy of a country, enabling an interactive visualization of a system in operation as it operates (there are parallels with Bret Victor and Nicky Case’s work on explorable explanations [38, 8], and the development of visual programming languages). Conclusion: What use is all of this? We’re interested in using qualitative displays and interfaces for supporting decision-making, behaviour change and new practices through enabling new forms of understanding — as an aid to help people explore their own and each other’s thinking, and specifically to help people understand their relationships and agency with the systems around them . Projects using qualitative displays are unlikely simply to be de-quantified ‘conversion’ of existing numerical displays; instead, the aim will be to make use of the approach to represent and translate phenomena appropriately, in ways which enable users to construct meaning and afford new ways of understanding, enabling nuance and avoiding reductiveness. 32. Dietmar Offenhuber and Orkan Telhan. 2015. Indexical Visualization — the Data-Less Information Display. In Ulrik Ekman, Jay David Bolter, Lily Diaz, Morten Søndergaard, and Maria Engberg (eds.). Ubiquitous Computing, Complexity and Culture: 288–303. Routledge, New York.